State Metal Industries, What Is Smelting? 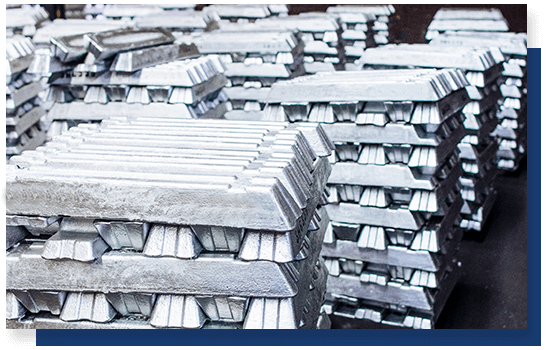 State Metal Industries manufactures high quality specification secondary aluminum ingot. 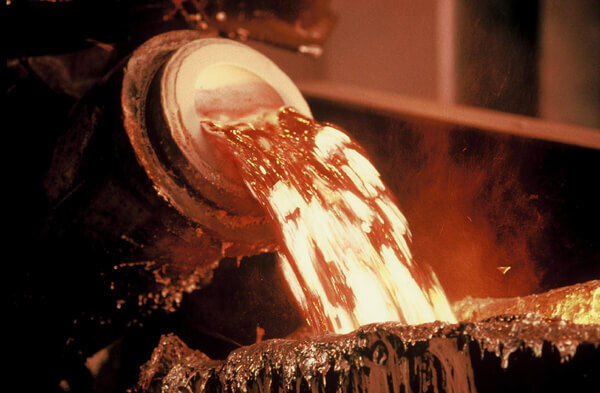 State Metal Industries produces our Ingot through the process of smelting, but what exactly is smelting? Smelting is a form of extractive metallurgy; its main use is to produce a metal from its ore. This includes iron extraction, for the production of steel, from iron ore, and copper extraction and other base metals, like Aluminum, from their ores. Smelting involves more than just “melting the metal out of its ore”. Most ores are a chemical compound of the metal with other elements, such as oxygen (as an oxide), sulfur (as a sulfide) or carbon and oxygen together (as a carbonate). To produce the metal, these compounds have to undergo a chemical reaction. Smelting therefore consists of using suitable reducing substances that will combine with those oxidizing elements to free the metal. In 1886, two 22-year-old scientists on opposite sides of the Atlantic, Charles Hall of the USA and Paul L.T. Heroult of France, made the same discovery – molten cryolite (a sodium aluminum fluoride mineral) could be used to dissolve alumina and the resulting chemical reaction would produce metallic aluminum. The Hall-Heroult process remains in use today. The Hall-Heroult process takes place in a large carbon or graphite lined steel container called a ” reduction pot”. In most plants, the pots are lined up in long rows, called potlines. The key to the chemical reaction necessary to convert the alumina to metallic aluminum is the running of an electrical current through the cryolite/alumina mixture. The process requires the use of direct current (DC) – not the alternating current (AC) used in homes. The immense amounts of power required to produce aluminum is the reason why aluminum plants are almost always located in areas where affordable electrical power is readily available. Some experts maintain that one percent of all the energy used in the United States is used in the making of aluminum.